Ruminations of an international collector. 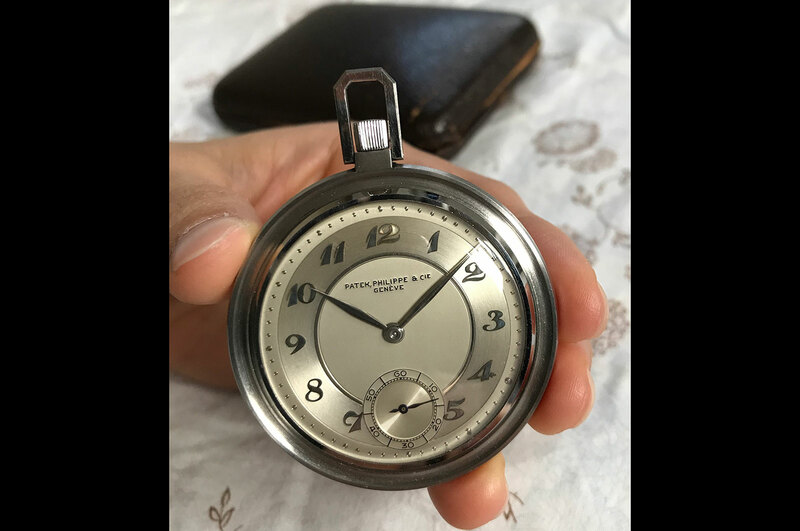 As a passionate enthusiast of pocket and wristwatches for over two decades, reflecting upon my myriad phases and metamorphoses as a collector yielded a single unifying theme: the pursuit of the impossible. Certainly, aesthetics comes first. I’d have to love the appearance and soul of the watch first and foremost, be it the seductively raised, hard enamel engraved confluence of cities bygone and current on a Patek Philippe world time pocket watch, the perfect galvanic sector dial on an early Rolex chronograph with an alluring shade of early gilt found only briefly in the mid-1930s, the jaw dropping finesse of a miniature enamel scene by the storied 20th century enameller Carlo Poluzzi on a Vacheron pocket watch, or the architectural harmony of the Longines 13ZN chronograph movement. These hauntingly beautiful details tug the strings of my heart. After aesthetics comes quality. 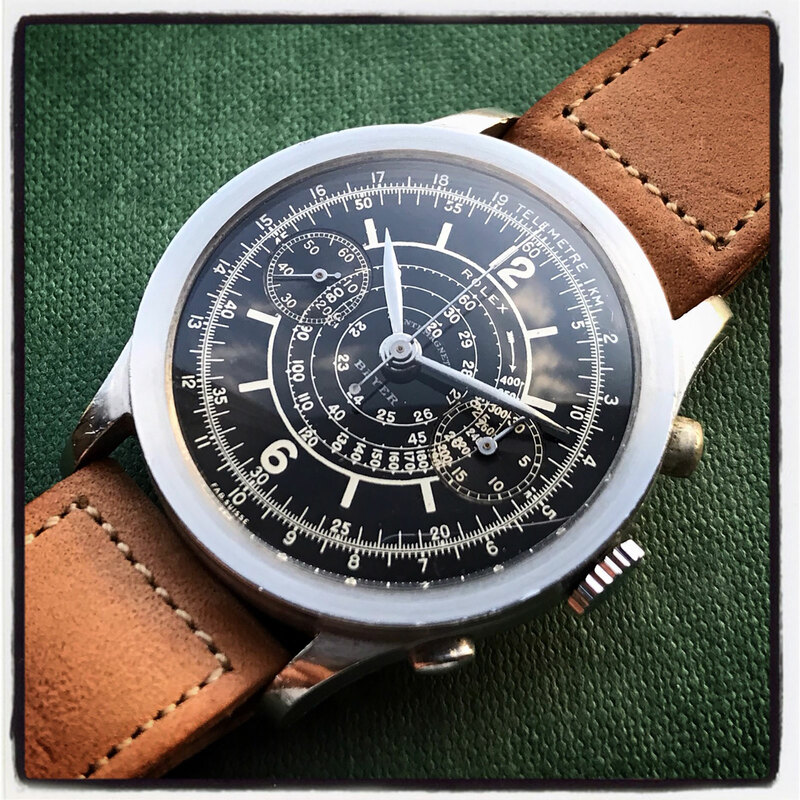 Quality refers to the condition and originality of a given example: not all specimen are equal before my eyes, especially if the target of the hunt is an important vintage reference, be it the first perpetual calendar chronograph wristwatch in the world – the Patek Philippe ref. 1518, or the most complicated Rolex Oyster model – the Datocompax “Jean Claude Killy”. Finding an example born in its present configuration with factory original – perhaps sympathetically polished – case and untouched dial is a steep challenge for even the most adventurous collectors with the deepest pockets. It takes years of experience and study to hone the eyes, to know what to look for. In a day and age where many watches are systematically prepared by dealers for sale, not only are sought after dials frequently swapped into “period correct” cases, cases are themselves often reconditioned to look “unpolished”, and dials cleaned and touched up: the accent and comma on Patek Philippe signatures are sometimes missing after a dial is cleaned, and then occasionally repainted just to make a cleaned dial appear untouched. It is all the more difficult to find natural beauties, watches that have passed through time with little plastic surgery – nips and tucks here and there to make the watch look “new”. It is my firm belief that “quality premium” – the price difference between great and mediocre examples – will get even larger in the foreseeable future, as the best examples of the most important vintage models are in the hands of collectors to whom large monetary compensation alone is not enough of an incentive towards parting with these irreplaceable watches. Finally, there is rarity. To me, it is not enough to know what models to pursue. Equally crucial is the search for the rarest examples of a given reference. Indeed, rarity is relative. An understanding of true rarity is a byproduct of constant studies – reference books, auction catalogues, online databases – and the cerebral memory retention of what has appeared on the market over time. 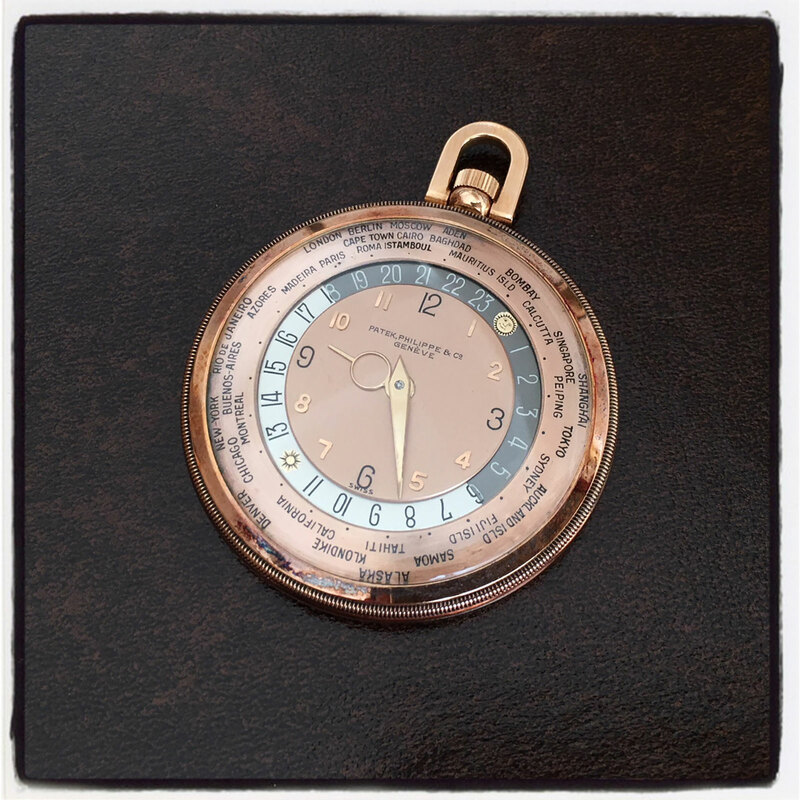 Not all examples of the Patek Philippe ref. 2526 – the first self-winding model of the fabled Genevan house, arguably the most important time-only reference of the brand – were born equal. Of the approximately 2,800 examples of the reference produced in the 1950s, about 2,300 were made in yellow gold and 360 in pink gold, with white gold and platinum estimated at just 65 pieces each. 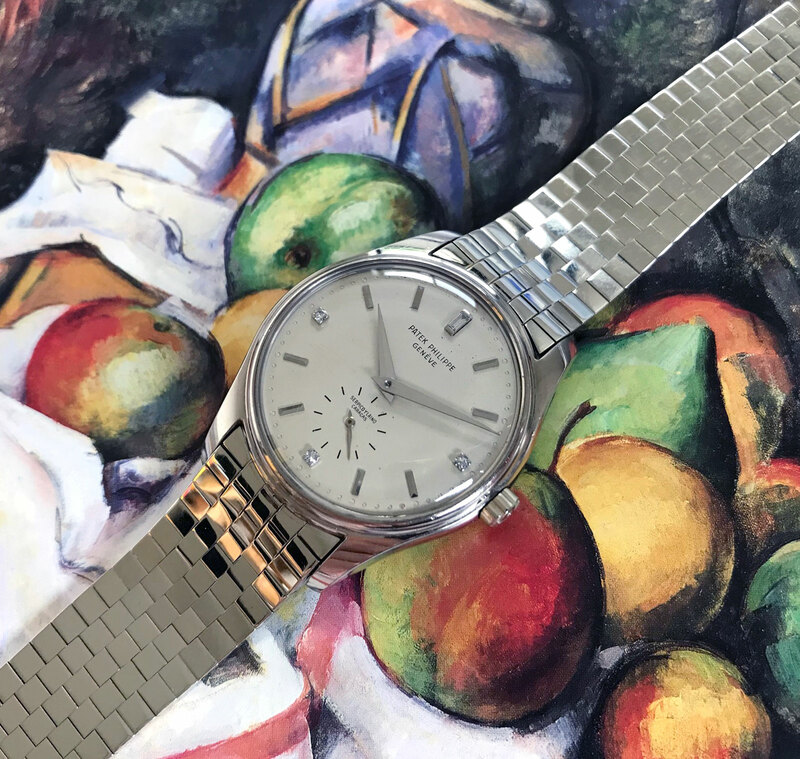 Hidden deep in the rare white metal 2526s are a few unique examples with retailer’s names on the dial such as “Tiffany & Co.” or “Serpico Y Laino”, even fewer with their original Patek Philippe Gay Freres bracelets, works of art in their own right. It is the hunt for the rarest gems of important references that pique my interest as a collector. Aesthetics and taste, then quality and rarity. The first two are subjective and come from the heart, the latter are willful fruits of the educated eye. The abstract amalgam of all four constitutes the foundation of my watch collecting then, now, and in the future: the pursuit of the unobtainable. The author was born in one country and lives in another, but his collecting style is best described as a distillation of the finest international taste in timepieces. 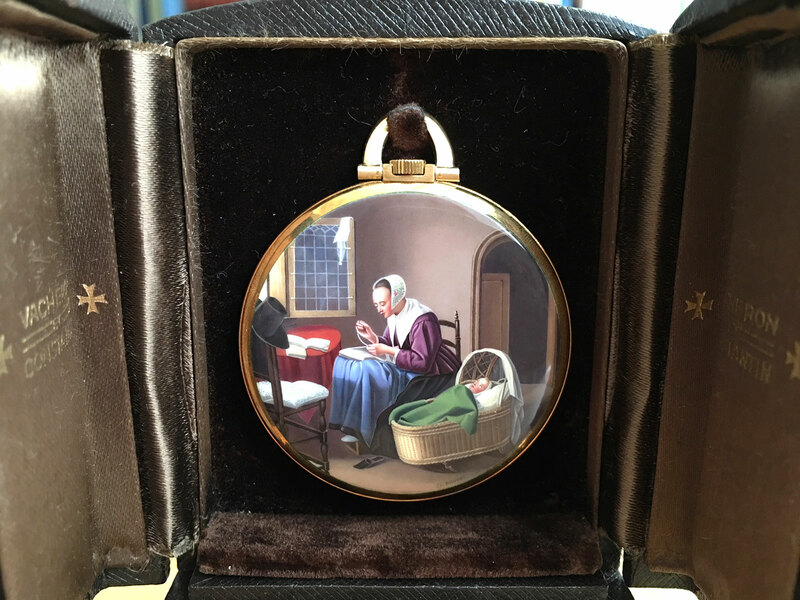 Noted collector and scholar Auro Montanari describes the author as “a collector with incredible eyes for details”. You can follow the author on Instagram.